90 MINUTE EMERGENCY PLUMBING RESPONSE! 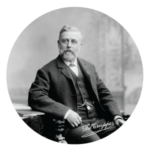 Thomas (Tom) Crapper was responsible for making remarkable contributions to the plumbing industry. His company owned the world's first bath, toilet and sink showroom and popularized the notion of indoor plumbing. Tom held three patents for toilet improvements and also invented the manhole cover. After discovering Tom's efforts to modernize the plumbing world and his attention to details and sanitation, 1-Tom-Plumber was created to improve your plumbing experience the way Tom Crapper did! The dedication to fulfill our customer’s needs and wants has always been imperative to the way we operate. We are available everyday all day/night, knowledgeable, professional, licensed, insured and already on our way!